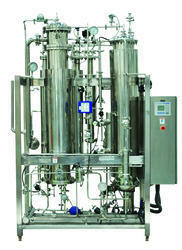 Available with us, is Pure Steam Generator that is precision designed for pharmaceutical industry. 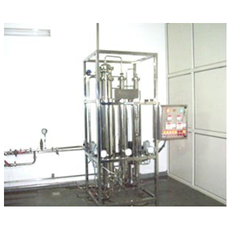 Developed in accordance with international quality standards, these equipment surpass the steam quality tests of super heat, saturation & non condensable gases. - Double tube sheet for first heat exchanger where boiler steam is used. - All contact parts are S. S 316/316L and all joints are sealed with Teflon Gasket.